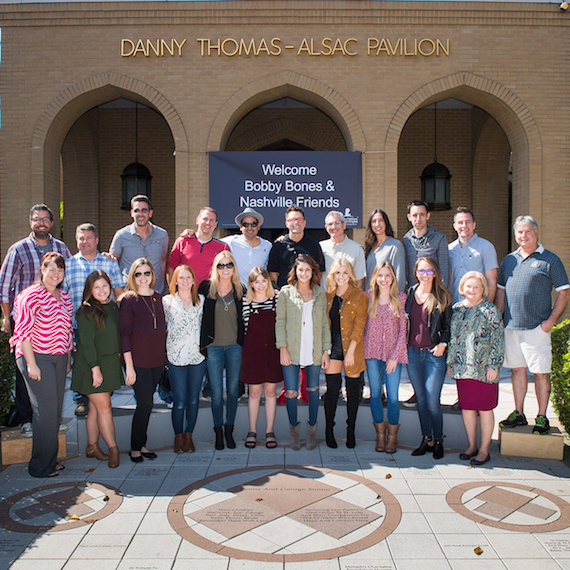 Top row (L-R) : Tom Lord, Red Light Management; Tom Becci, Red Light Management; Chuck Aly, Country Aircheck; Troy Stephenson, MusicRow; Eddie Garcia; Bobby Bones; RJ Curtis, All Access; Legina Chaudoin, O’ Neil Hagaman; Zack Massey, iHeartMedia; Gator Harrison, iHeartMedia; Mark Turley. Bottom Row (L-R): Leslie Armstrong, Nashville Country Club; Megan Carmean, ACM; Lauren Black, Sounds Like Nashville; Donna Duncan, CMT; Mary Forest Findley, Red Light Management; Nikita Karmen; Nada Taha; Lindsay Ell; Morgan Massengill; Megan Boardman, Black River Entertainment; Melba Foster, ALSAC/ St. Jude. 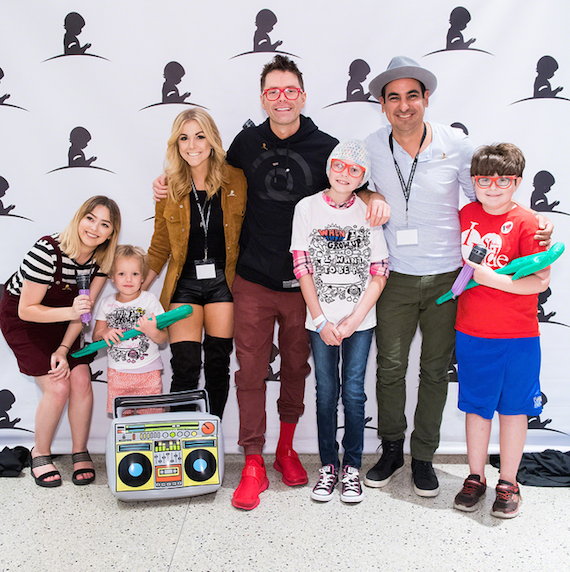 Bobby Bones And The Raging Idiots, the comedy group comprised of Bobby Bones and Producer Eddie from iHeartMedia’s The Bobby Bones Show, visited St. Jude Children’s Research Hospital on Tuesday (Oct. 11) in Memphis, Tennessee, along with several music industry representatives. Attendees were treated to a show by The Raging Idiots and were able to enjoy time coloring and interacting with some patients of St. Jude. Bones was also presented with a St. Jude gold record to recognize his contribution in helping raise $2.2 million dollars for St. Jude Children’s Research Hospital. The Raging Idiots recently released full-length children’s album, The Raging Idiots: Kiddy Up! on Black River Entertainment and performed a few songs for children. Many of the Nashville participants were visiting St Jude for the first time and took a tour to learn more about the hospital. Also joining the event were artists Lindsay Ell and Nikita Karmen.